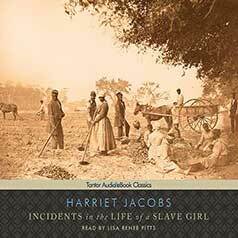 Harriet Jacobs's Incidents in the Life of a Slave Girl is an unflinchingly honest account of the experiences of a female slave in nineteenth-century North Carolina. Published in 1861, Harriet Jacobs's Incidents in the Life of a Slave Girl is an autobiographical account of the author's experiences as a slave in nineteenth-century North Carolina, from her relatively happy childhood to the brutality she experienced as a teenager and young woman to her eventual escape to the North. One of the few slave narratives written by a woman, Jacobs's work deals frankly with the horrors of slavery, shedding light on the abuses female slaves in particular often endured at the hands of their masters. Incidents in the Life of a Slave Girl is a gripping, unflinchingly honest account of slavery, one that stands as an important counterpoint to male slave narratives by such authors as Frederick Douglass.